Acclaimed actor David Morse has had many roles over the years, but none quite like playing the real-life Mike Webster. In Will Smith's new movie, Concussion due in theaters Christmas Day, Morse tackles playing the anchor of the Pittsburgh Steelers' offensive line on the big screen. Any diehard Steeler fan or football fan for that matter knows the legendary Mike Webster. The Hall of Fame center played for the Pittsburgh Steelers and is considered one of the best centers in National Football League history. With all of his achievements on the field, "Iron Mike" may come to be remembered for so much more. David Morse joked, "Well, this movie is about Mike Webster right?" when asked about the football players part in the film. Although Webster's screen time is brief, one could make a case that his life and death are a catalyst for change for all NFL players. 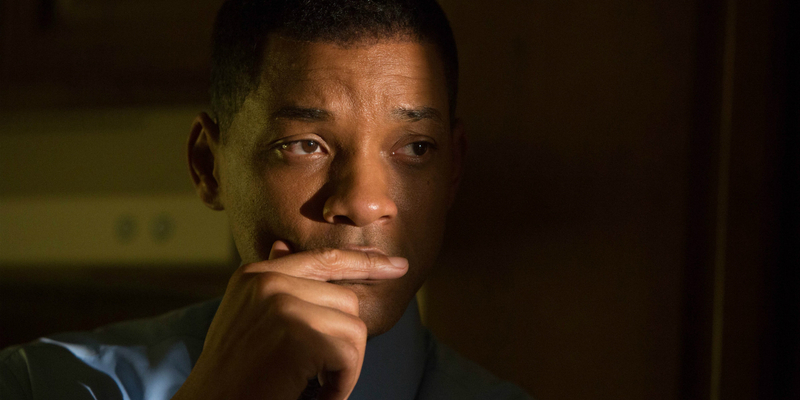 From Webster's Hall of Fame Speech, which opens the film to his death which sets into motion a chain of events, the life of Will Smith's character Dr. Bennet Omalu is forever changed. Suffering from chronic traumatic encephalopathy (CTE), which was not known at the time, Webster died in his truck alone. During his autopsy, Dr. Omalu, who couldn't understand why he died, discovers that Webster suffered from this unknown disease. This diagnosis led to Omalu finding it in other players and in turn leads him to challenging the NFL to require safer measures for players on the field. Morse admits that he knew of Webster, but not about him. "The only thing I knew… is that one of the most famous players in football, a Super Bowl champion, died in his truck…homeless," Morse says. In preparing for the role Morse researched head trauma, "there were doctors who were very generous and let me spend time with them and with people with head trauma and dementia," he says. Morse also transformed himself physically for the role. "I put on 25 pounds. I was very self-conscious that my body was not like his body and I just wanted to represent that as physically as much as I could too," he adds. "In a way I had so little time on film to really establish the range of what this man experienced [as far as suffering]. Starting with that Hall of Fame speech, I spent a lot of time watching that Hall of Fame speech, but when you watch the speech...[you see] the struggle [he had in] delivering [it]...he was already homeless at that point....Nobody knew what was going to come out of his mouth when he got up on that stage and it is amazing what came out. When you talk to people with the head trauma, they can talk lucid it seems like for 30 seconds and then it is gone. They don’t know what they are talking about. You ask a question and the question disappears and they don’t know what you are talking about and then they start inventing stuff." Morse admits how hard that was to portray, "we couldn’t really get that into the film; there wasn’t really a way to do that. So we got the extremes. We got him as a younger man; we got images of him as a football player, the Hall of Fame speech and then obviously with the dementia. So finding each of those things was the challenge." Morse discloses that make up helped explain Webster's painful condition, "The makeup obviously [shows] over the course of his career [how] he just built up this scar tissue on his forehead. And I think Peter [Landesman the writer/director] was very wise in wanting to have this because you just think about the [amount of] time that head was being smashed to build up that kind of scar tissue and what was happening inside that head as a result of it was so much." After playing Webster, Morse is now a fan. "[I became] a fan of his for a lot of reasons: obviously he was a great player, but he really suffered," Morse shares. He adds, "Just any penny he got he would give it to his family and tried to do the right thing to the very end and I admired that." But what really gets Morse is Webster's suffering. "Even Terry Bradshaw, who was the quarterback for the Steelers, said that Mike was the smartest guy on the team....You just think about all that intelligence disappearing as his mind collapses all that stuff was not available to him anymore....Obviously he’s not alone there is a lot of people suffering with that." At one point in the movie, Doctor Omalu says he wishes he never met Mike Webster, but Morse relates that Omalu doesn't feel that way anymore. He mentions there was more to Webster's legacy. "In football he has a great legacy, but now his legacy, also through all his suffering, will be the good that came from his suffering and that relationship with Doctor Omalu," as Morse teared up. 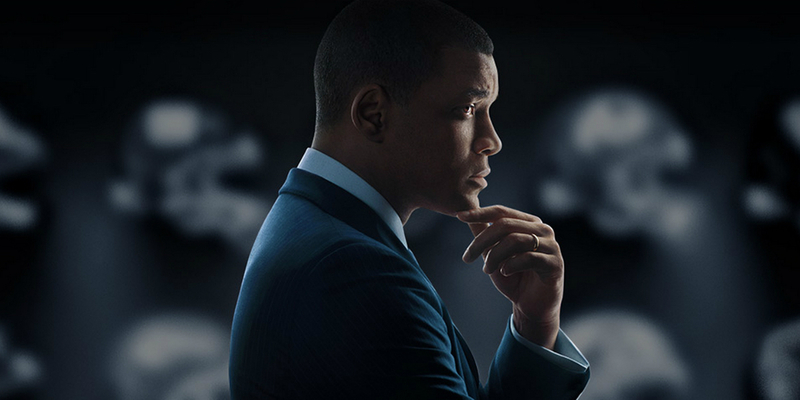 He closes by saying "really the heart of the film is the beauty of doctor Omalu and how his life is changed by Mike Webster...Isn’t that interesting that so much good came out of it [Mike Webster's suffering.]"